The run from Apalachicola to the docks at White City is a short one. There were a couple of potential anchorage spots we wanted to check out, including one that was a regular for us on our sailboat, Sea Trek. The White City docks are located in a basin surrounded by a park with a boat ramp. There has never been a lot of activity here whenever we have visited. The dock next to the pavilion was under repair and closed off with caution tape. There are 20 amp outlets at the pavilion that can be used for limited power. A new floating dock has also been added on the canal front. 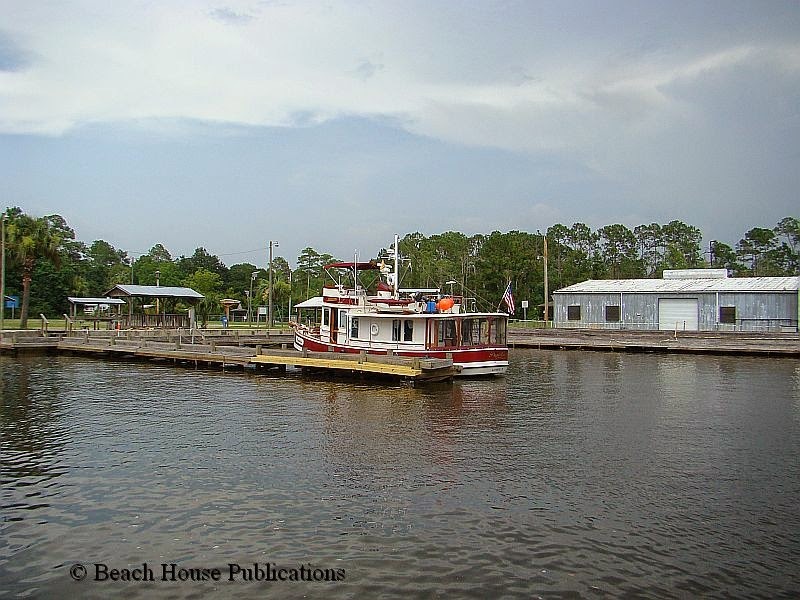 The floating dock is better for deeper draft boats since depths along the fixed docks are 6 feet or less. There is a 24-hour limit at the docks, but if bad weather is in the area, a longer stay would not be a problem. A short walk down the road to the east brings you to a gas station and convenience store with basic staples. This is a favorite stop for us and most other boaters that pass this way. But we did find a problem on board that needed our immediate attention. 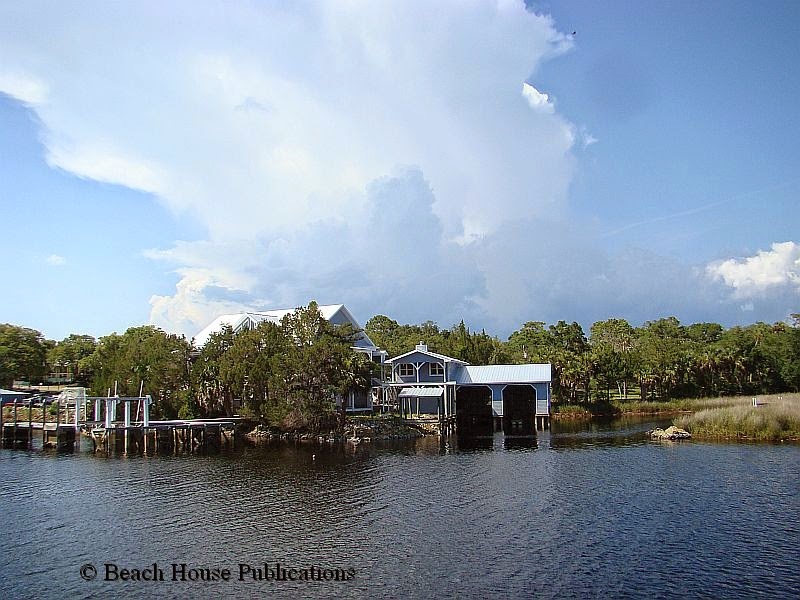 It would seem that the Gulf of Mexico in the vicinity of the Steinhatchee River has it's own weather system. For a week we watched as the reports from almost every other location showed light winds and quiet conditions. Yet all of the forecasts and buoy reports for the area we needed to transit to get to St. Marks had winds and seas more uncomfortable than we prefer to travel. A long time ago we came to the conclusion that the shallow waters of the Gulf can develop some nasty waves without a lot of wind. The constant forecasts of 15 to 20 and buoy reports confirming winds kept us in the Steinhatchee much longer that we would have liked. Even on the day of our departure, the morning brought winds of 15 knots directly from the direction we had to go. We patiently waited and checked the buoys every hour until they showed wind had dropped to 10 knots. Beach House and crew was underway. The conditions were not ideal; there was still a very sloppy sea for us to plow into for a few hours. As the day progressed and we moved away from the Steinhatchee and Keaton Beach, things began to settle down and eventually the seas flattened and the winds dropped below 5 knots. Finally we were experiencing the Gulf at its best.